HammRant: Booing Loses Games. You Want a Championship? Stop booing! 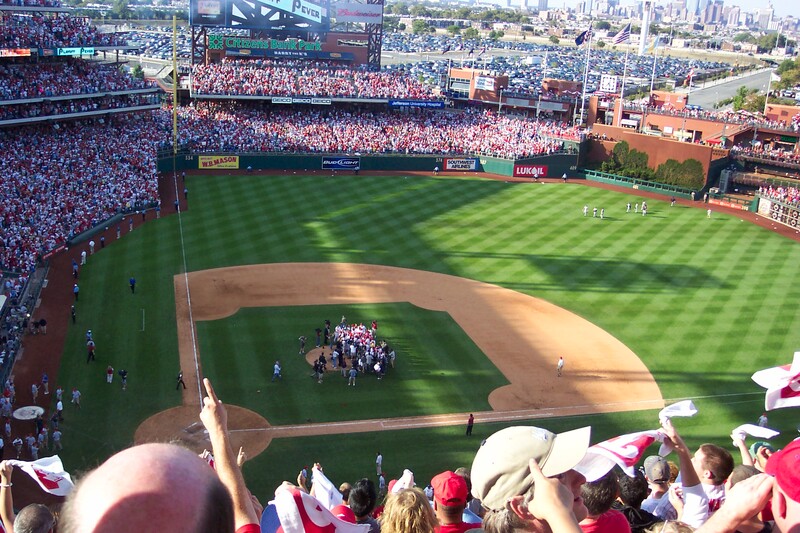 Jimmy Rollins says booing affects the players. Philly fans think its their duty to boo. Rollins says that's not helping you should support the team. Booing causes losses. I'm in love with Kerri-Lee Halkett. She doesn't know who I am. She doesn't even know that I'm a local blogger. I love her anyway. 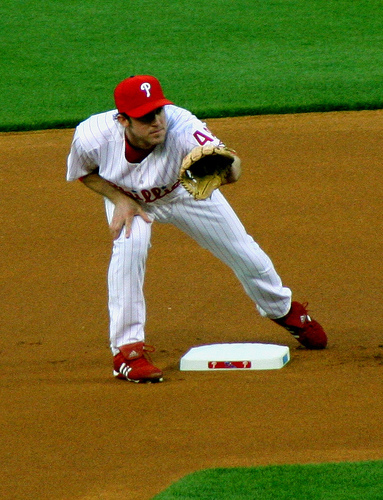 Add Another trophy for Rollins... With Rollins gold glove, it's looking good for the Phillies shortstop to add the most prestigious award to his mantle on November 20. 9 Thoughts From the Game (Now with Video) -- Phillies Win, 6-4. Can You Feel It??? Watch the video of the final out of today's games and check out my thoughts on tonight's game. As the Phils take 2 of 3 from the Braves and sit atop the NL East. 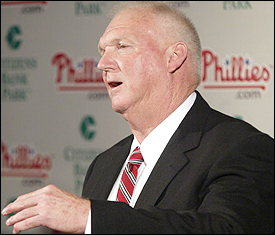 Charlie Manuel Quote of the Day: I'll be honest. 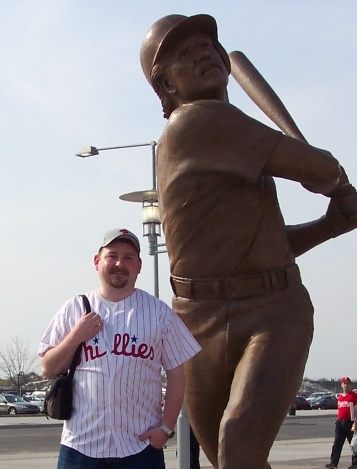 I'm not a Charlie Manuel fan. But he is a motivator. Here's what Brett Myers has to say. Charlie Manuel Quote of the Day -- Why Fans Like This Team?? Charlie Manuel Quote of the Day: lot of people don't know why a team that's 4 games out of first place and 2 games out of the Wild Card are drawing so many fans. Charlie Manuel Quote of the Day -- On Pitching Staff: What I've Got, I've Got I Got I got. Charlie Manuel Quote of the Day: Echoing Sublime, Charlie explains how he uses his depleted pitching staff. He's almost like Popeye. 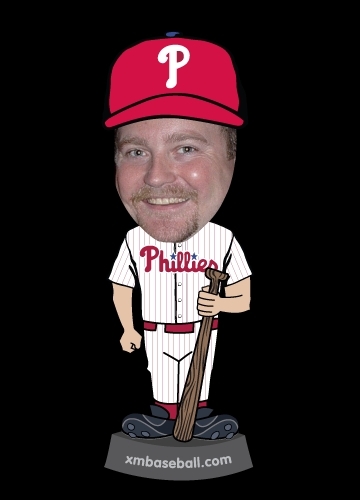 Charlie Manuel Quote of the Day: The Phils are 2.5 games out and When pressed on why he has benched Pat Burrell the $13 Million man and whether his salary would have an affect on who plays or not, our manager gets a little Cartman on us. Coming into the most recent 10 game homestand, the Phillies were faced with going 7-3 to get to .500 at the end of the stretch. The Phillies did just that. Charlie Manuel Quote of the Day -- On thought. 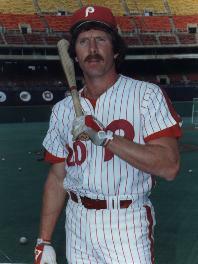 Charlie Manuel Quote of the Day: The last time we checked in on the Charlie Manuel Quote of the Day, the Phillies were 3-10 and Bitter. They are 17-11 since then. 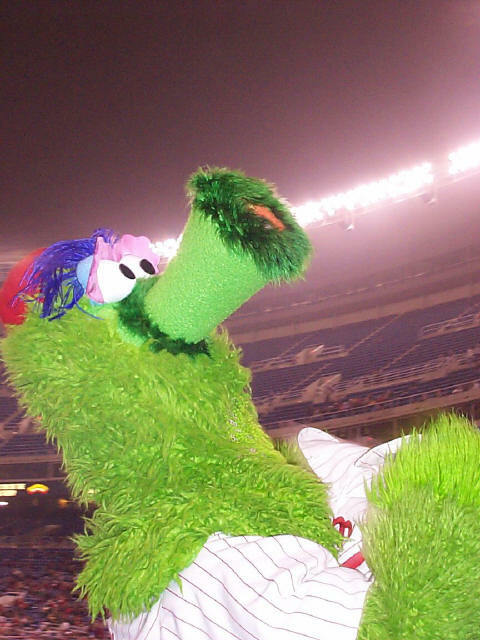 How is it possible, that a season that started out with so much expectation and promise, that the Phillies were completely unprepared to win more than one game in the opening week. For the second year in a row! So if there was a press conference for Allen Iverson going at the same time as the Brett Myers press conference which one would you show? The Phillies went 4 and 2 this week, working a 4 game winning streak. They head to San Fran and Denver next.